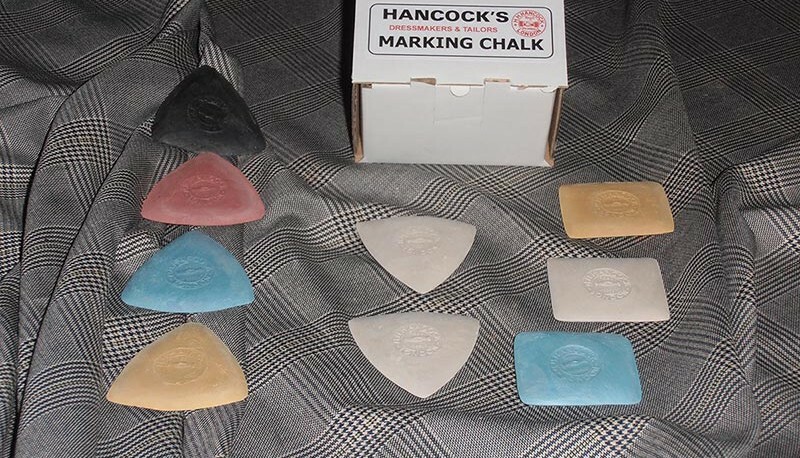 These Chalks are also known as “Tailors’ Crayons” and are suitable for marking virtually all textiles unless of a delicate nature and are removed from the material by light brushing. Available in white, yellow, red, blue, black or as an assortment. 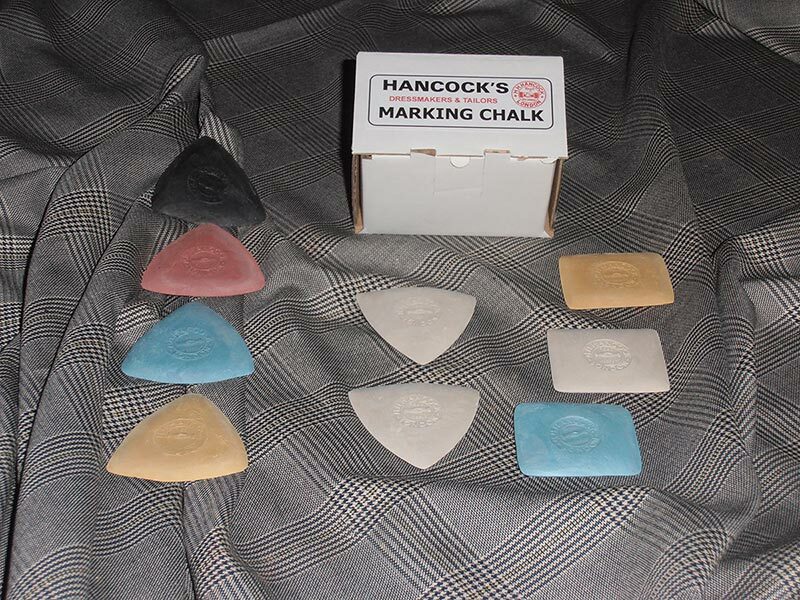 Chalks are available in triangle, oblong or axehead shapes. Printed display boxes contain either 50 or 25 pieces. 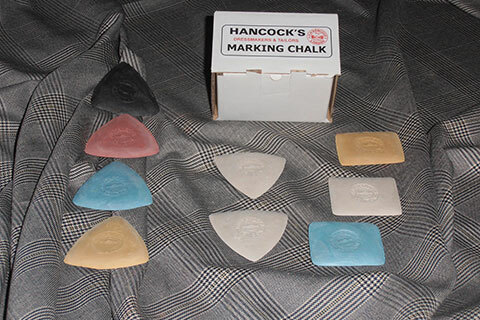 Dark coloured chalks should be used with EXTREME CAUTION on pastel coloured material and standard precautions should always be taken before marking–up. 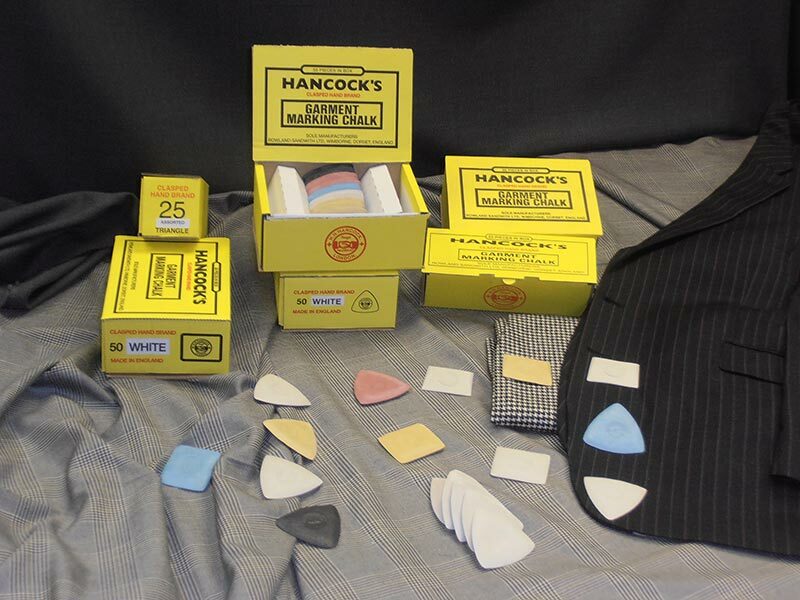 The Handy Pack contains 12 pieces of Garment Marking Chalk and can be packed in any assortment. 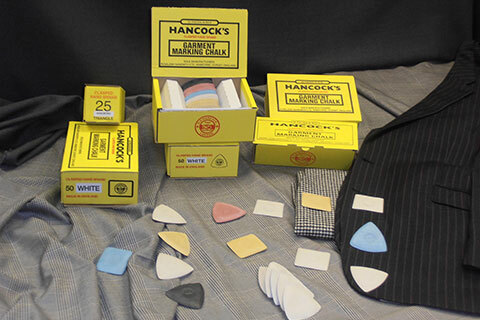 They can be labelled either as Hancock’s or in accordance with specific customer instructions for personnel branding. The standard precautions should always be taken before marking–up. 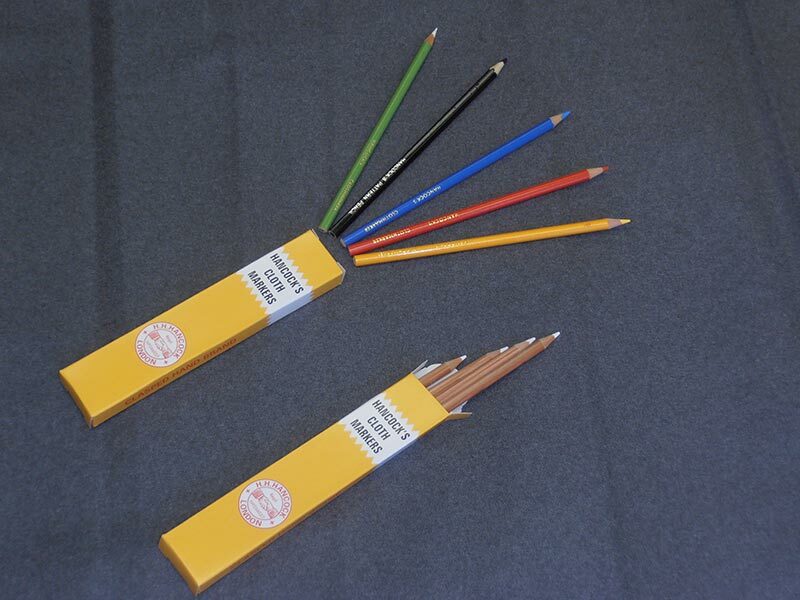 Standard pencil design, they are used in the same way as Garment Marking Chalk and are also removed by light brushing. 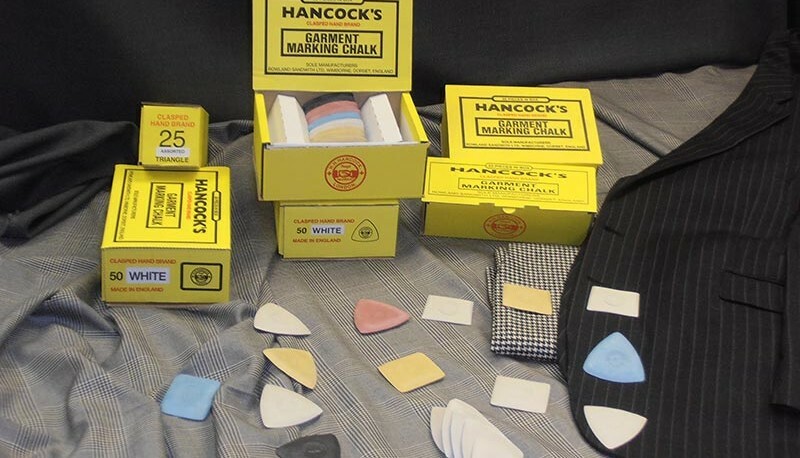 They are particularly useful for marking button holes and for marking face mounted patch pockets. Available in a range of four colours; white, yellow, blue, red or as an assortment. 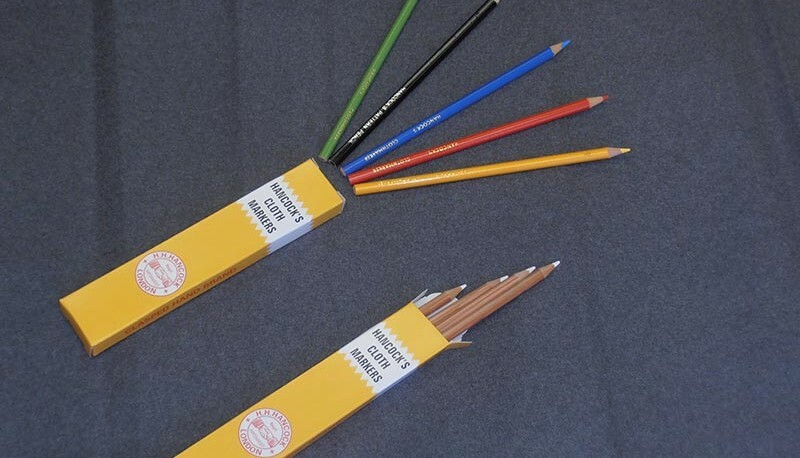 Packed 10 pencils per display box or bulk packed 144 pencils. They are also produced for use with an Ultra-Violet lamp which then shows the mark as GREEN FLUORESCENT which glows under the lamp. 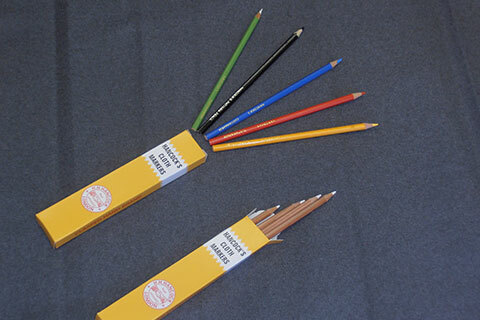 Packed 10 pencils per display box or bulk packed 144 pencils.